One of the biggest things that people of online communities tend to overlook is the fact that words do hurt. Although these things that are hurtful are not being said online, saying them online can amount to just as much hurt and maybe even more. I have been a witness and a victim to cyberbullying and have seen the effects that it can have on the victims and overall online communities that play a part with it. Cyberbullying is easily seen and more accessible on social media sites just because of the social freedoms that the sites allow us to have. I hope that in the future, social sites can find some way to automatically delete any type of cyber-threatening posts; I would love to do all within my power to try to stop the online bullying that occurs. In this post I will talk about why cyberbullying should be stopped, it’s effects on social sites, methods that could be taken in order to prevent it. I’m sure everyone is familiar with what cyberbullying is, but in case anyone is unfamiliar with it, I will define it. 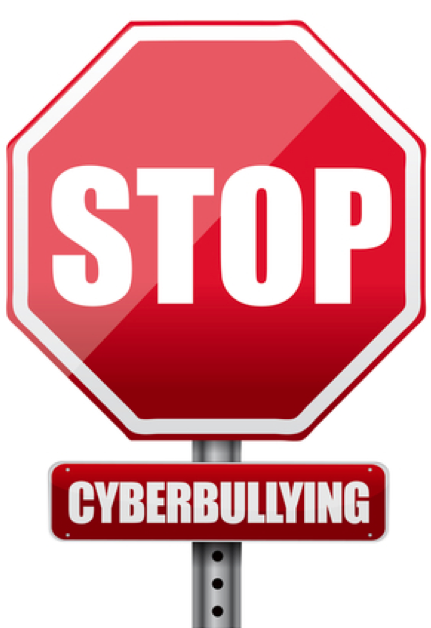 According to stopbullying.gov, cyberbullying is bullying that takes place over digital devices like cellphones, computers, and tablets. If you were thinking that cyberbullying is only on websites, than you may have to broaden your mind. Everyday, people around the world are faced with bullying in general, and it is one of the leading causes in suicides. 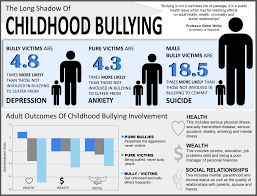 Studies on http://www.bullyingstatistics.org/content/cyber-bullying-statistics.html state that over half of adolescents and teens are faced with cyberbullying, and that the same amount have engaged in cyberbullying. Of that huge percentage that were cyberbullied, there are about 4,400 cases of individuals that have committed suicide because of such. In my opinion one death is way too many, but the 4,400 cases truly disgusts and saddens me. It is still such a surprise to me that our government hasn’t made better laws or protections to victims who are faced with cyberbullying. Many people can agree that cyberbullying should be stopped because it is just plain “mean”, but there are many different reasons in my opinion for why it should be stopped. For this posts purposes, social media cyberbullying should be stopped because it is wrong and it is in the main eye of the public. When I was faced with cyberbullying, I was humiliated not just because of what was said but because of who may have seen it. In today’s society, we are very technologically advanced and we have devices that can save everything that is being said or seen forever; even if you delete it. With these type advancements on devices, majority of these cyberbullying incidents are being screenshotted, saved, and sent out to many people. With websites such as Twitter, you don’t even have to follow people to see the “drama”, or really anything in general; you have the option to make your page private, however, there are few people on the Twitter community who follow this. Those who have committed suicide because of websites. The uprising of social media has become one of the biggest technological advancements. An example of this tremendous rise is on http://www.pewinternet.org/fact-sheet/social-media/ . The source states that daily almost 76% of Facebook’s users use the website daily. The significance of this is that Facebook actually have 2.07 billion active users and counting on its website. This statistic as a whole pretty much gives an inference about social media’s impact. I think that it is quite amazing that communicating with others and having the urge to want to post things has brought a lot of us together; more than we may have ever imagine. However, when a lot of people come together and are all of different races, ethnicities, and even gender, there is bound to be problems. One of those biggest problems being how we communicate with each other. When being online, I think that many people gain confidence that they may not have had before because social media allows us to hide things about ourselves. I will always commend the fact that social media has given a voice to everyone; even those whom may feel like they are unheard. Unfortunately, when it comes to allowing everyone to post what they may want, you may sometimes come across the pages or people who are negative; and that’s how cyberbullying occurs. Since I am active on social media sites, I cannot exclaim any further about the amount of negative things that I see on a negative basis. Of course, I am sure that the primary intentions of making social media sites was to connect with others and gain stronger connections with everyone around the world. But, sometimes I believe that it does more negative damage than positive things. For example, for many of the young people on social media (those in elementary or middle school), I believe that it brings more negative damage than positive. To begin with, I think that social media exposes young children to too many things that they may not understand. I was always told that children are like sponges, so that you must watch what you say around them. Well, the analogy of young children and sponges applies to social media. I think that social media can negatively affect young children because it allows them to see a lot of their friends or classmates lives while they are still immature. For example, if a student has a bully in the classroom (which is common), it is not unlikely for them to bully online as well. Children, especially bullies, being exposed to this much freedom can negatively affect them. I think that social media enables many people to bully without any type of consequence. 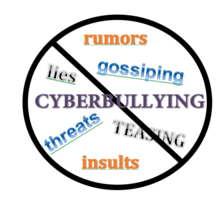 There are many different opinions and statements about what people think should be done to stop cyberbullying; however, I don’t believe that there are many successful options that could be used. For example, http://www.safeteens.com/tips-to-stop-cyberbullying/ , states that people should avoid it and maybe just block the person, but that does not always work. In fact, many people who engage in cyberbullying make it their mission to do whatever it takes to harm the other person. Personally, I believe that the most evident way to put a halt down on cyberbullying is if these websites take some accountability themselves. I believe that there should be many people hired for these social media sites that can filter out certain things. If these sites really cared about the people affected by these matter, they would try to put their best foot forward by stopping a lot of it. Once the bully’s begin to see that these websites are cracking down on the negativity, it would help the problem. Although I know that cyberbullying will probably never end all together, I think it is very impactful to try to limit as much of it as can be. In the future, I hope that many of the owners and corporate executives see that this is a problem and want to help put forth an effort. I know that if there is anyway that I can help, I will do so.